You know those kids that run down the street after the garbage truck? That’s my son. He lives for Thursday mornings when the garbage truck circles the neighborhood. He is also one of those kids that locks in on something he loves, and that is his thing. 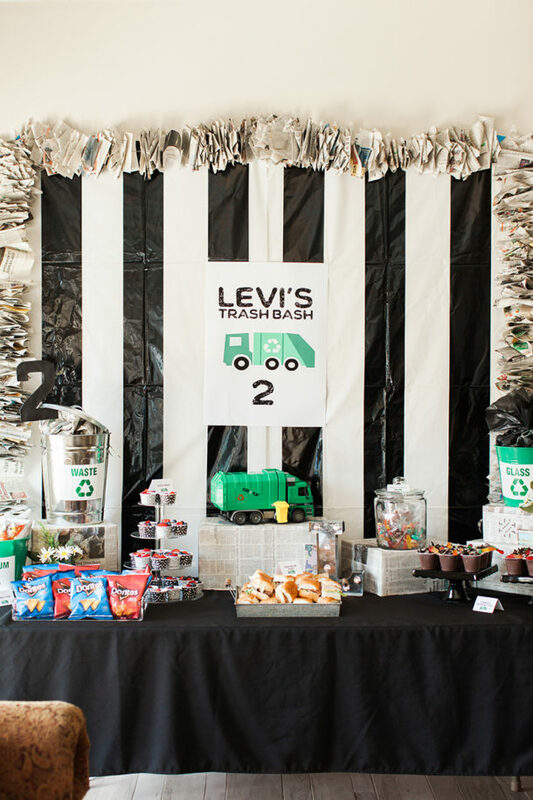 It was only natural that his theme for his second birthday party would be a “Trash Bash” as I like to call it. 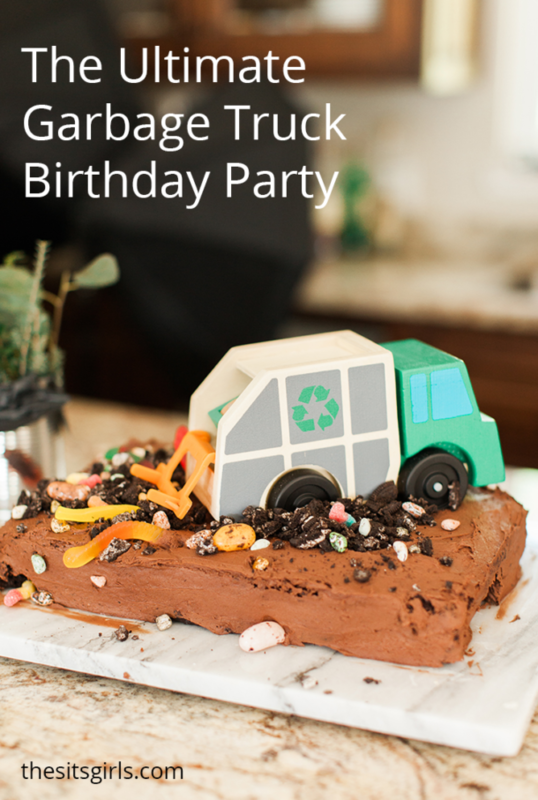 The Ultimate Trash Bash Garbage Truck Party is perfect for garbage truck lovers, for Earth Day, and for any kid that likes to get down and dirty! This party was the biggest stretch for me. 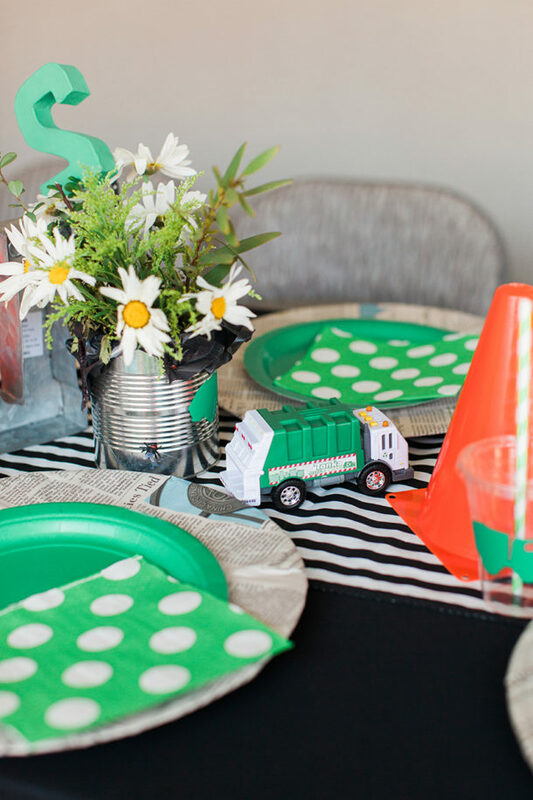 I have to admit that there wasn’t a ton of inspiration to draw on when trying to figure out how to decorate a party with trash, recycling, and garbage trucks as the decor. 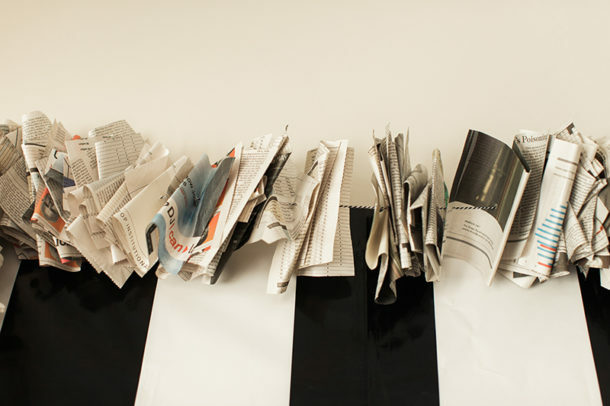 I started collecting newspapers, old soda bottles, tin cans, and anything else that could be repurposed for decor. 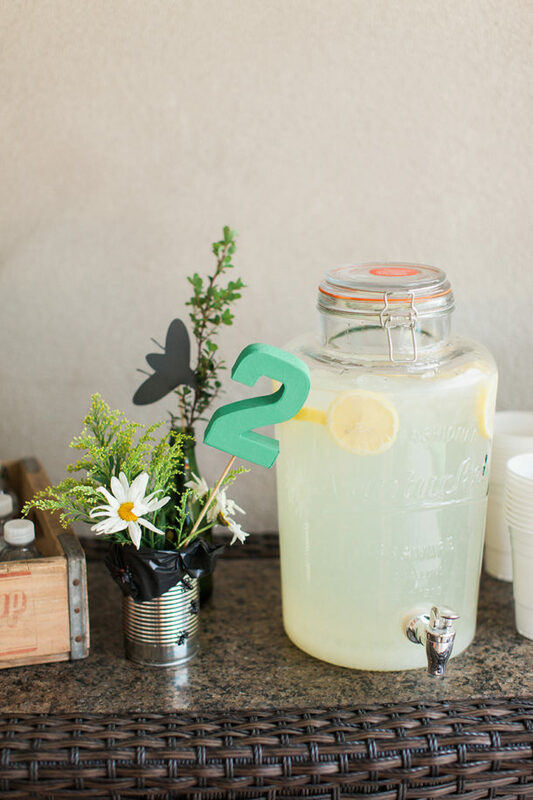 And I actually fell in love with the idea of using these things to decorate. 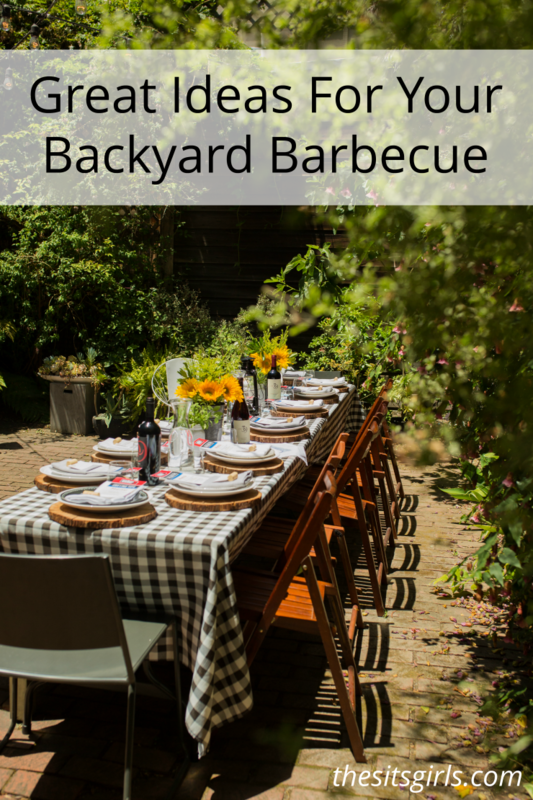 It kept the costs minimal and makes it super authentic, and YAY for Mother Earth! 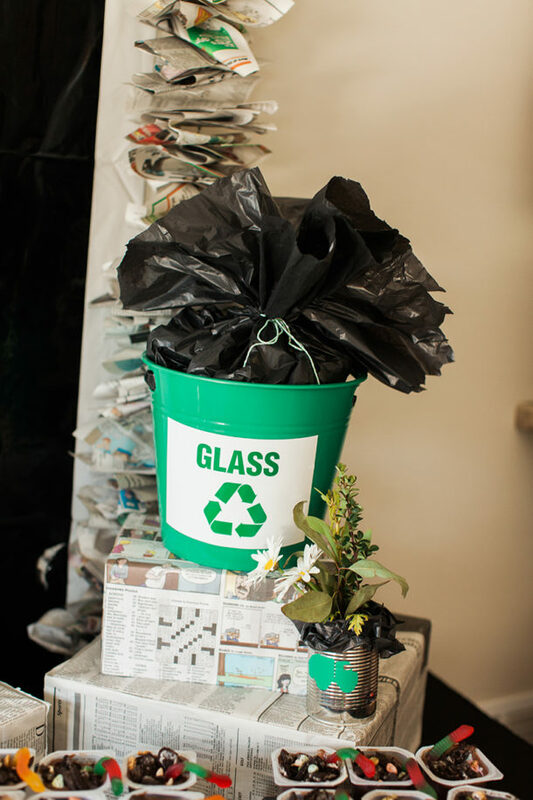 Recycle, Reduce, and Reuse! 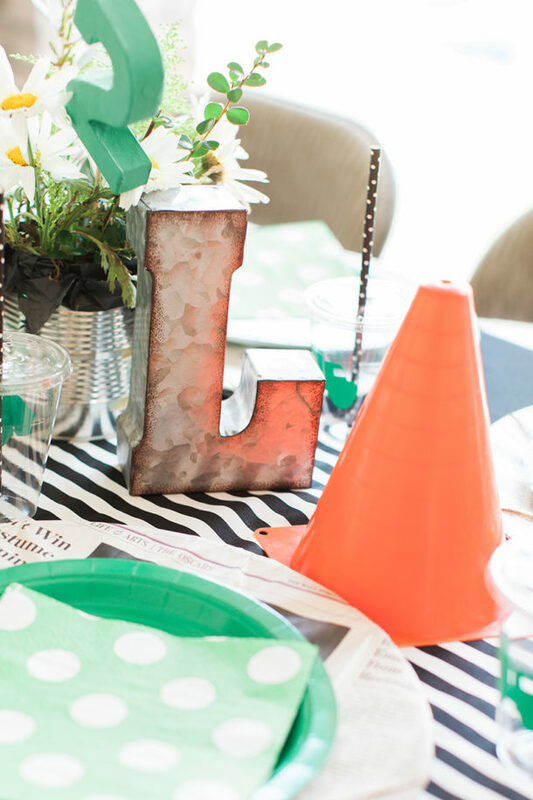 For my centerpieces at the dining tables I used mini orange cones, a metal “L” for my son Levi, and created some funky vases out of tin cans. 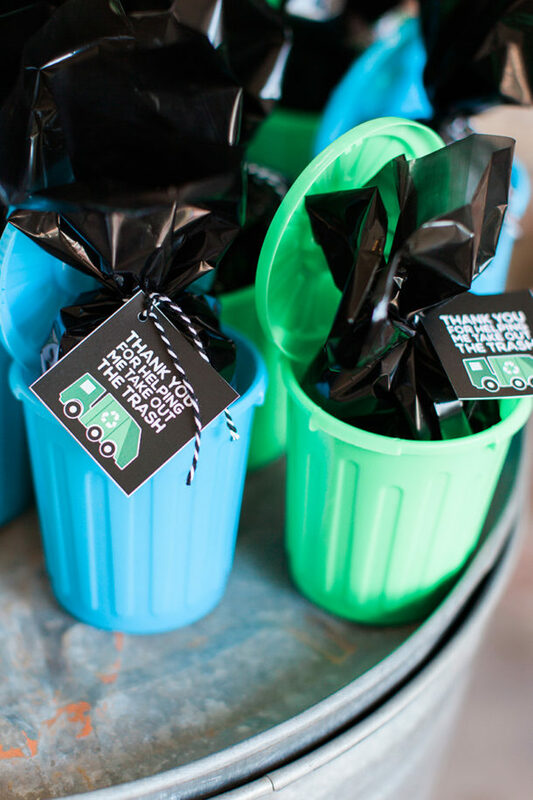 I glued mini trash bags inside and coming down the corners, and attached little bugs around the cans as well. And I wanted the flowers to look like wildflowers and weeds. I know it sounds a bit crazy, but it needed to match the decor! 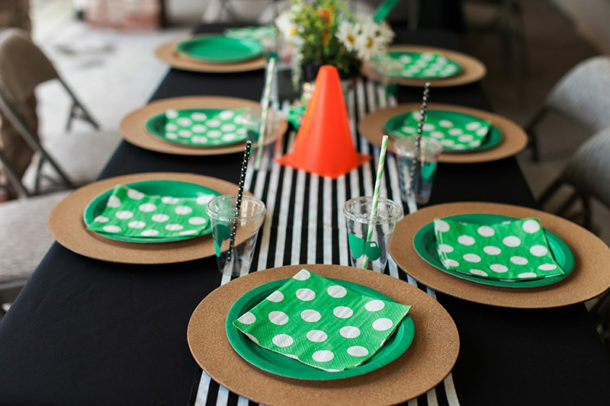 The black and white striped table runners are one of my favorite purchases. I used them for a 1950s party, a Star Wars party, and probably ten other events! 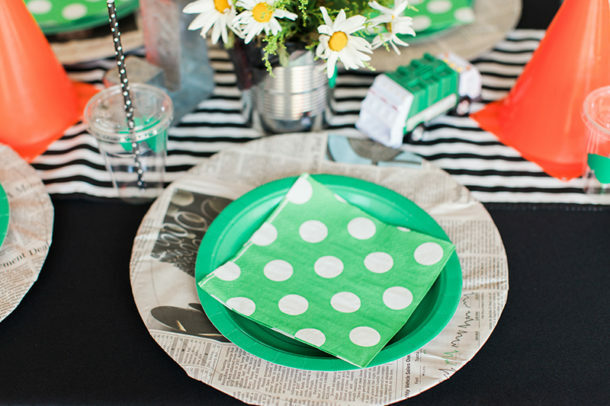 I bought some cheap chargers and covered them in newspaper with green paper plates for my little guests to dine on. 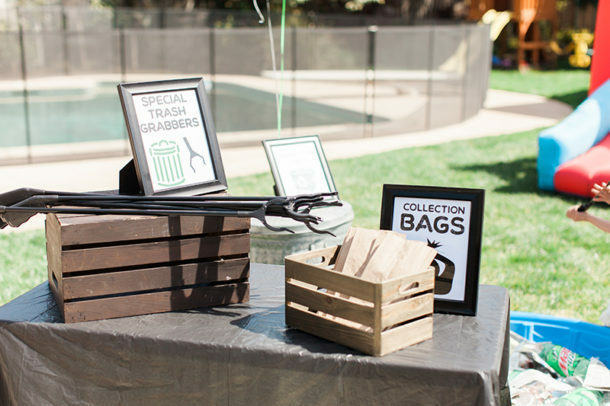 One of my favorite parts of the whole party were the lunch containers. I bought little plastic containers ( which I have used multiple times), and added a cute tag to the top. This is actually one of my party secrets. 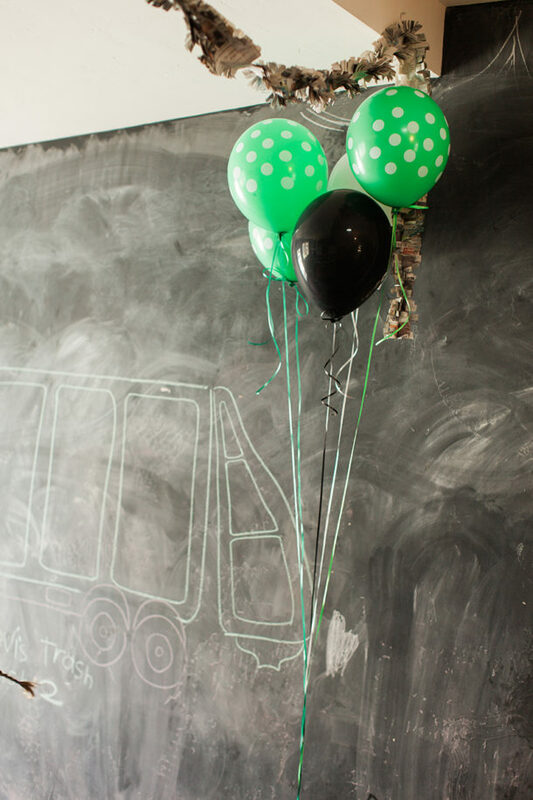 When hosting a party for little ones, it works well to have food prepackaged and ready to go. 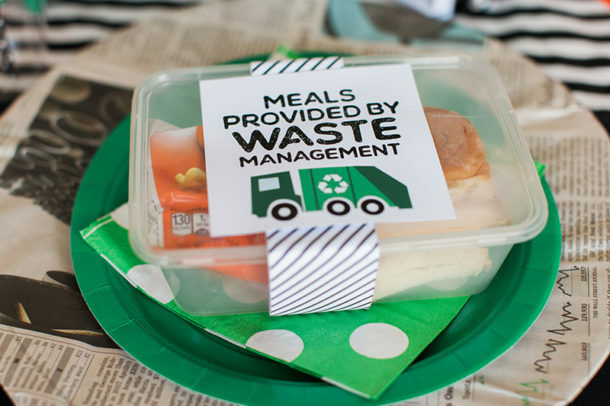 It saves time and hassle, and lets the parents make their own plates while the kids are eating! 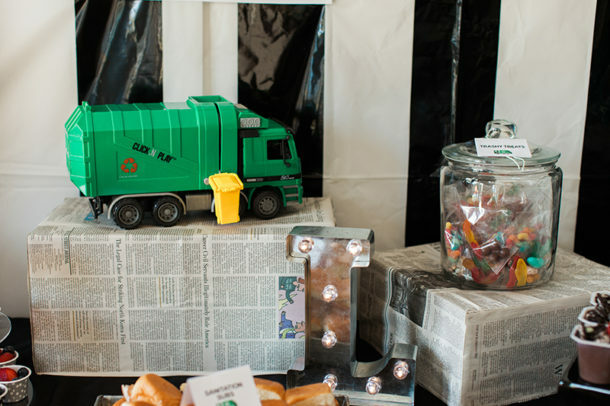 I kept the general green, black, white, newspaper, and garbage trucks as the theme running throughout the whole party. 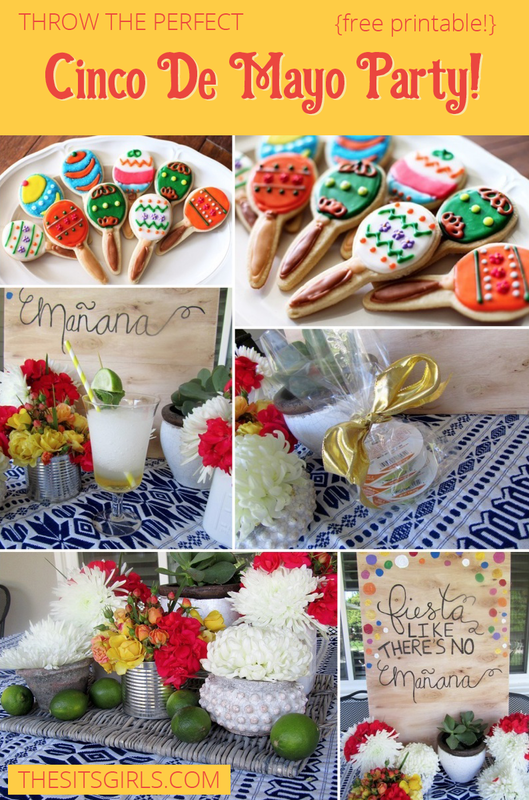 The food table was the most fun to design! 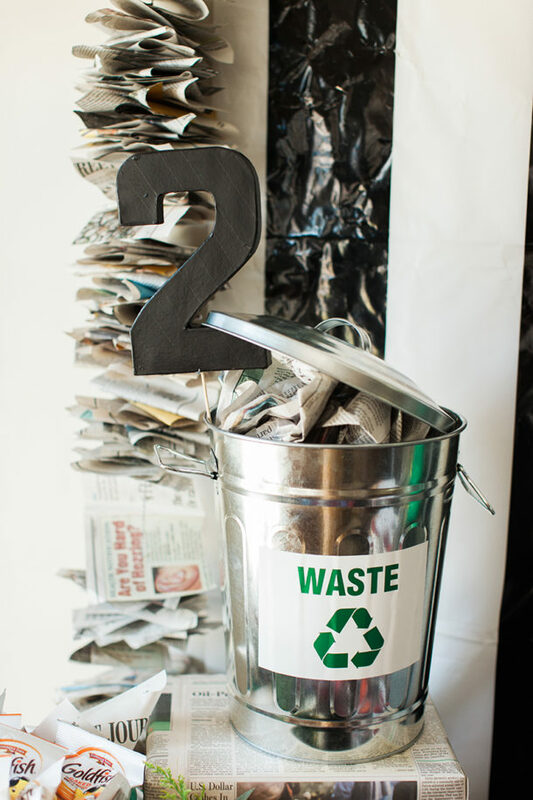 I used metal trash cans, and found some trash signs off Amazon that worked perfectly. I covered old boxes in newspaper to add some height to the display. Don’t forget the trash bags! Stuff them with some newspaper for a more authentic look. 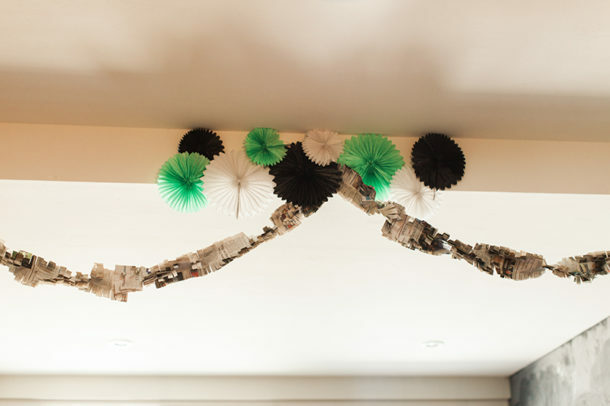 I found a black and white striped backdrop and then made a HUGE newspaper garland to rim the outside. I cut newspaper into small squares and then strung it onto some bakers twine. 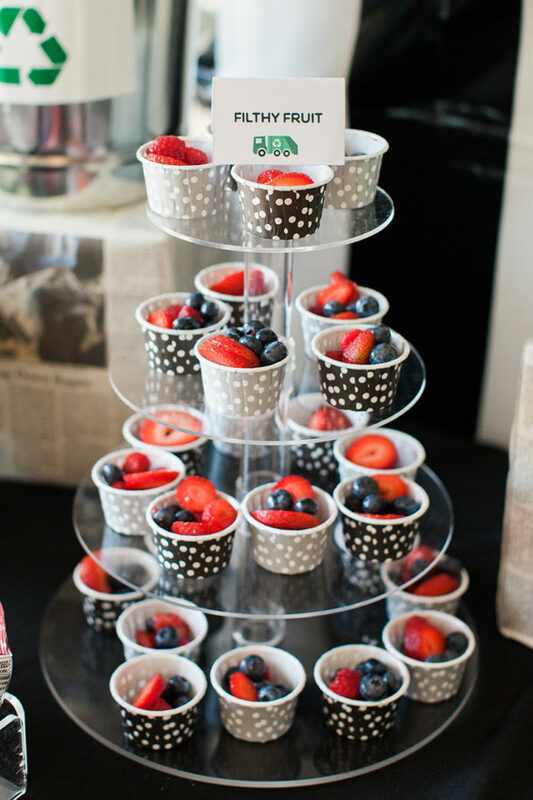 It ended up being a great way to enclose the backdrop for the food table. My husband and I had tons of fun figuring out what to serve at the party. 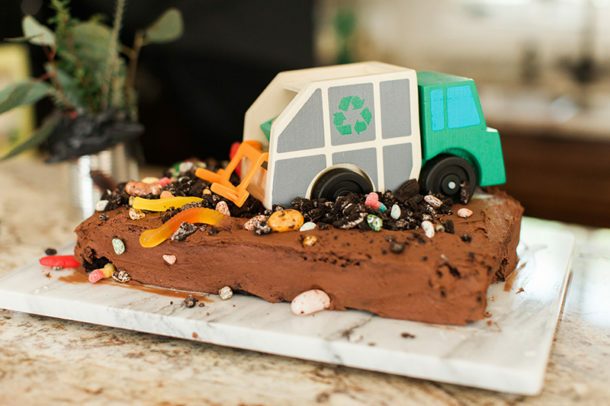 Of course we wanted it to all tie in to our Garbage Truck theme. 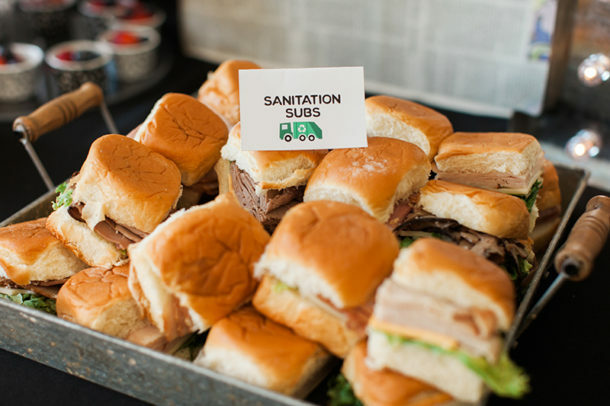 We served “Sanitation Subs”, Filthy Fruit, Compost Pudding Cups, and some more yummy treats. 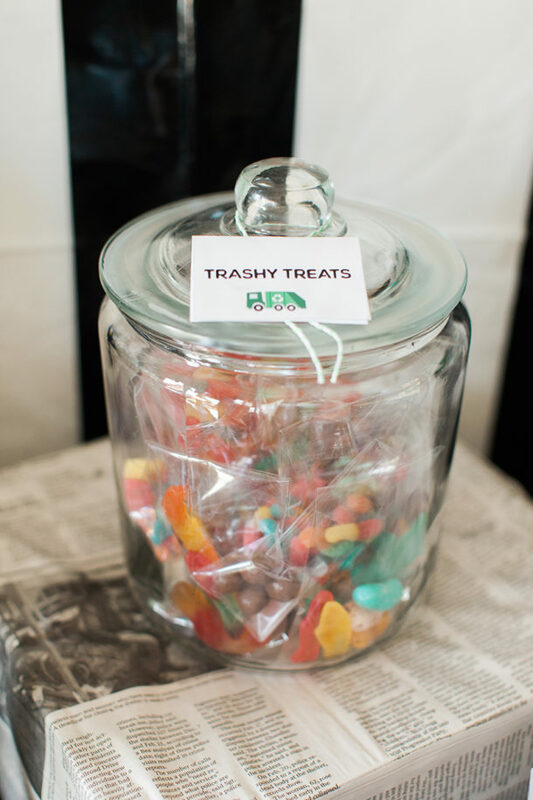 The kids were thrilled with our “Trashy Treats”. I bought small cellophane bags and filled them with Swedish fish, small rock candy, whoppers, and of course some sour gummy worms. The cake was something that was actually easier than I expected. I used a homemade cake recipe, and dressed it up a bit. 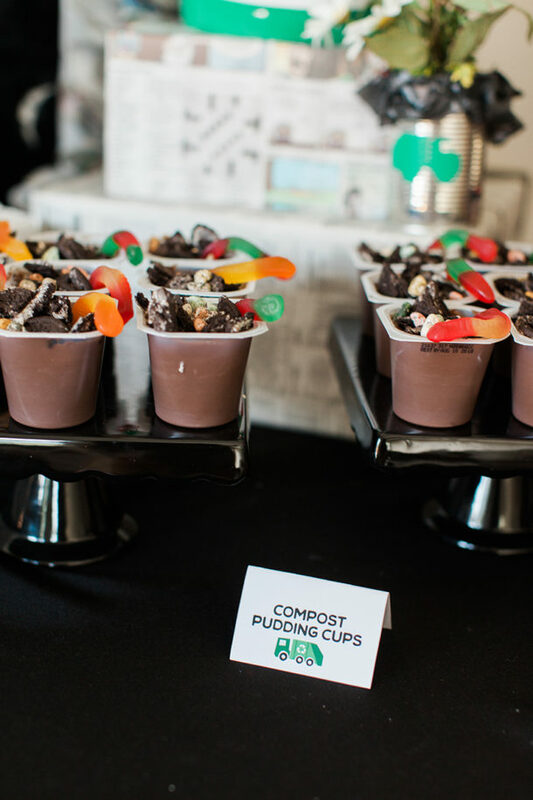 It went along perfectly with the Compost Pudding Cups. I used a small wooden garbage truck we had and decided to deck it out sanitation style. 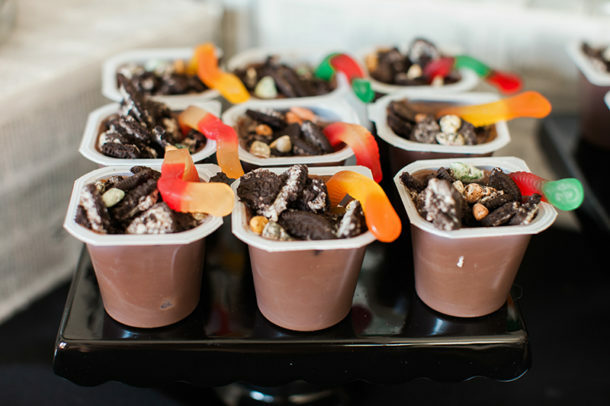 I bought jelly bean rocks, I crushed OREOs, and I used the same toppings for the pudding cups to make it look like trash had spilled out of the back. 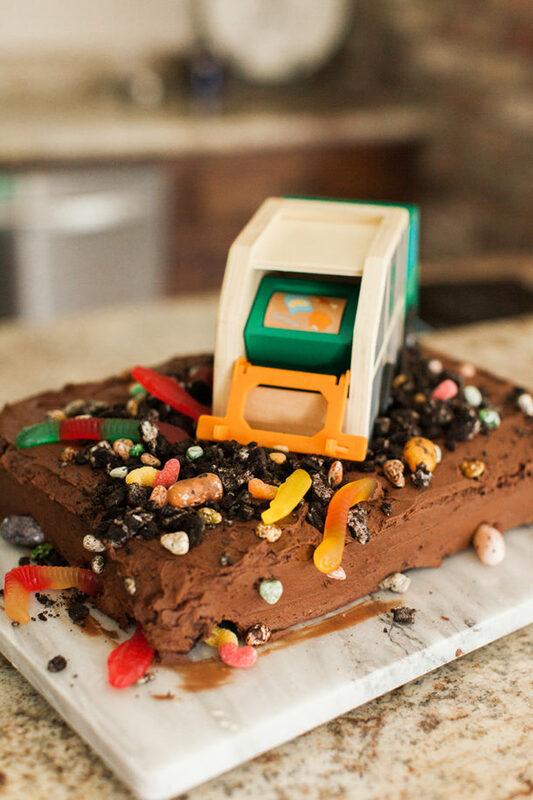 The kids loved it, and the crushed OREOs made it even more chocolatey and delicious! After the kids were filled with snacks and treats, we played a game that ended up being way more fun than anticipated. I basically spent the weeks leading up to the party collecting old bottles, magazines, newspapers, and other kinds of items. It was a big eye opener of how much trash we were actually going through. 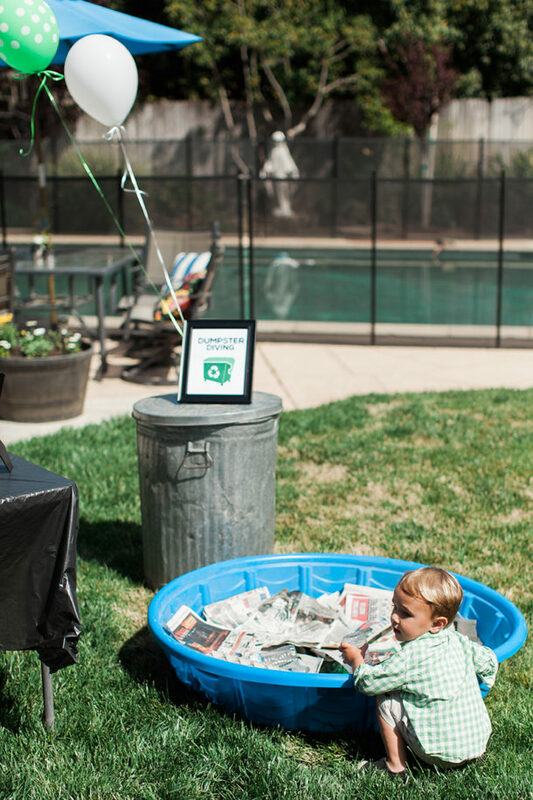 We used a small plastic pool and filled it with CLEAN “trash”. 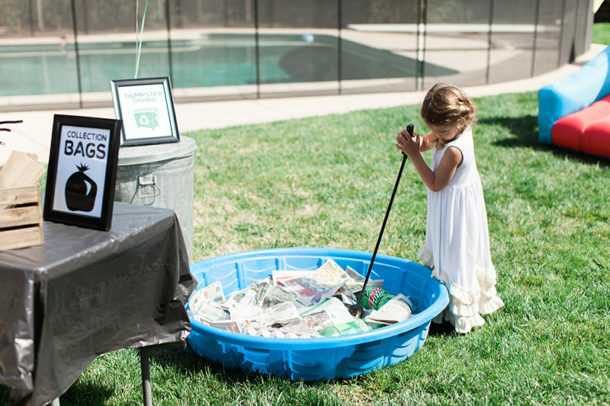 We also filled it with little prizes. 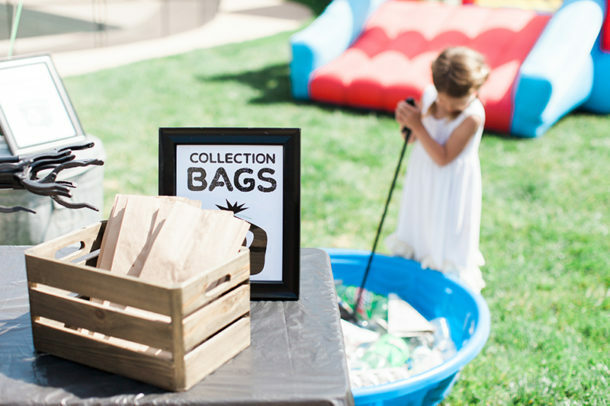 The prizes were hidden under all the trash, and the kids had to use our “trash grabbers” to pick their prizes out from under! It really was a cheap, super fun, and popular game, I would totally do a rendition of it again for another party. My daughter loved this game so much that she asked to play it at her birthday party this year! The birthday boy might have cheated a little bit and used his hands, but no harm no foul. 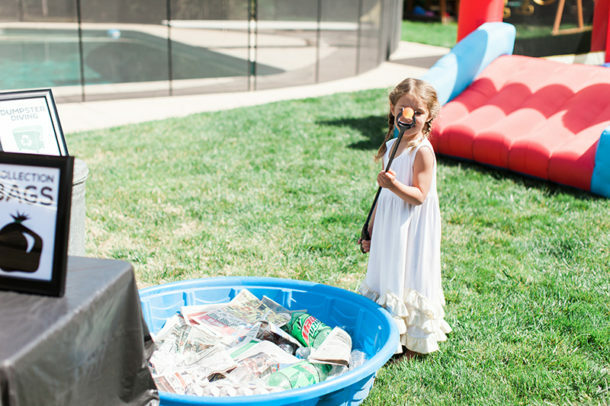 Who knew digging through trash could be so much fun? After all the festivities, our little garbage men and women were exhausted. They got to choose their own little trash can filled with treats to take home and continue the fun. 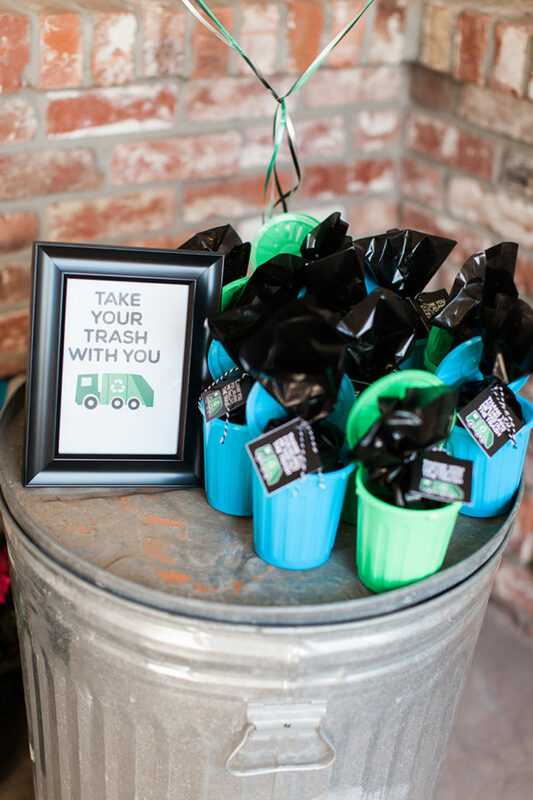 I still can’t get over the cuteness of how tiny the trash cans were! 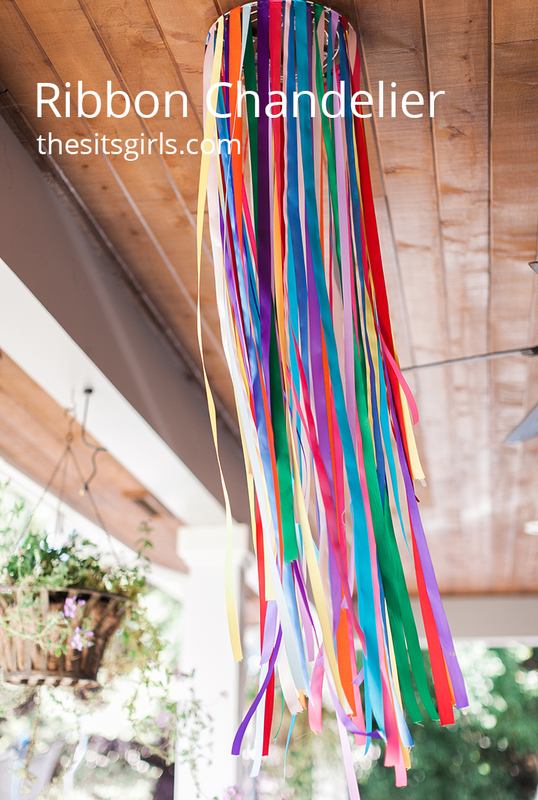 Styling this party was so much fun. I tried to keep it in the general sanitation scheme and add in some metals to play off trash cans. There were several projects that were made for next to nothing. 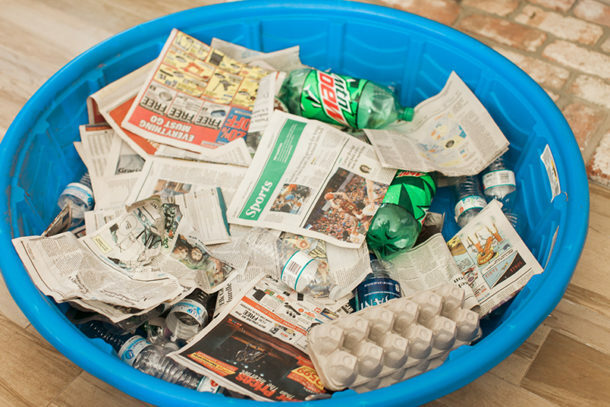 I suppose that is the beauty of throwing a “Trash Bash”, in that everything old can be made new! 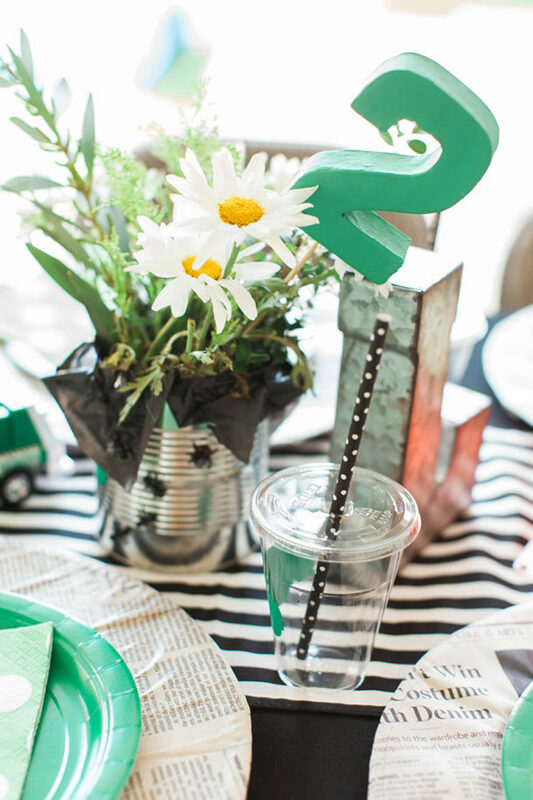 If you’re looking for more party inspiration, check out Star Wars Party ideas and Wizard of Oz birthday party ideas!